What a wonderful example of one man's trash being another man's treasure. 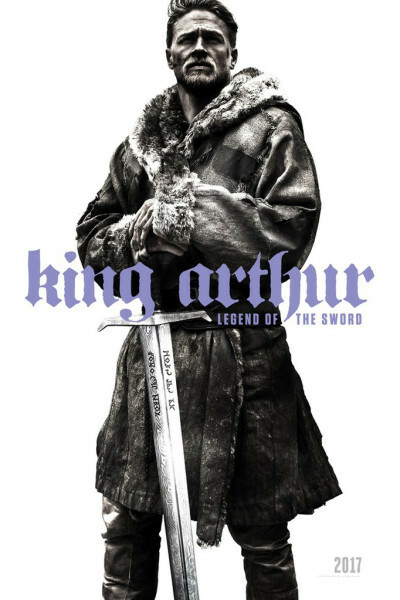 After two weeks, King Arthur flails atop a paltry $45M USD box office take, poised to lose $150M. It's a certified 'flop,' and has stalled, though IMDB has it at 7.3. As with all things 'taste,' take my opinion with a grain of salt and filter it through your own gullet, but I freakin' LOVED this movie. I was not expecting to; I was expecting to hate it. But it opened with a growl, crawled to a thunderous gallop, and delivered everything I want/expect/hope for along the way: a neato origin story, a well-paired antagonist and protagonist, underestimated damsels, FX that add to (rather than distract from) main events, way out wizardry, hand-to-hand combat with "Kung Fu George," elaborate battle scenes, clever strategy and synergy, and a snarky/winky set-up for Chapter 2: King Arthur & the Knights of the Round Table. Unfortunately, that may not come to pass, but what the heck: the first outing was fun. So so so much better than Matt Damon's The Great Wall. By comparison, THAT one was stinky trash, even for catfish.